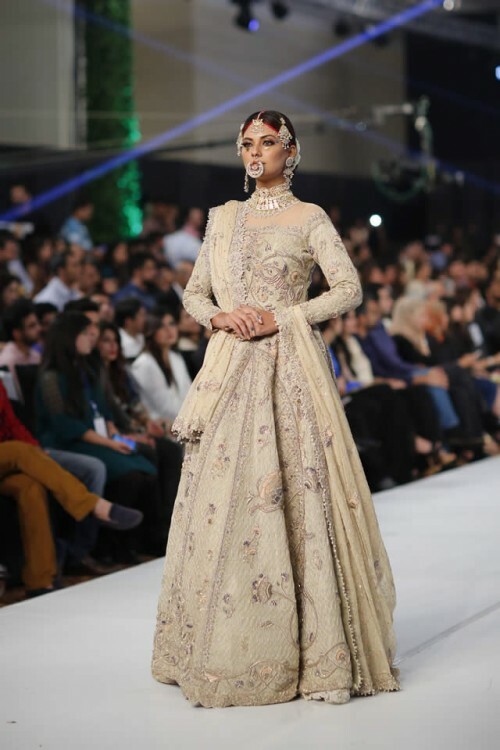 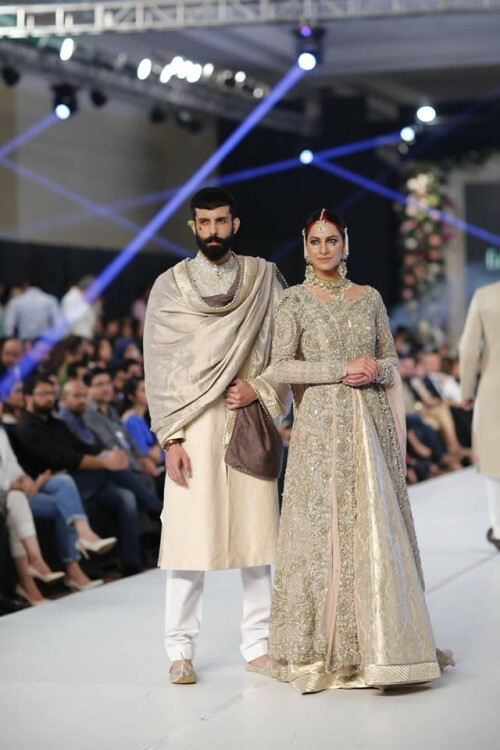 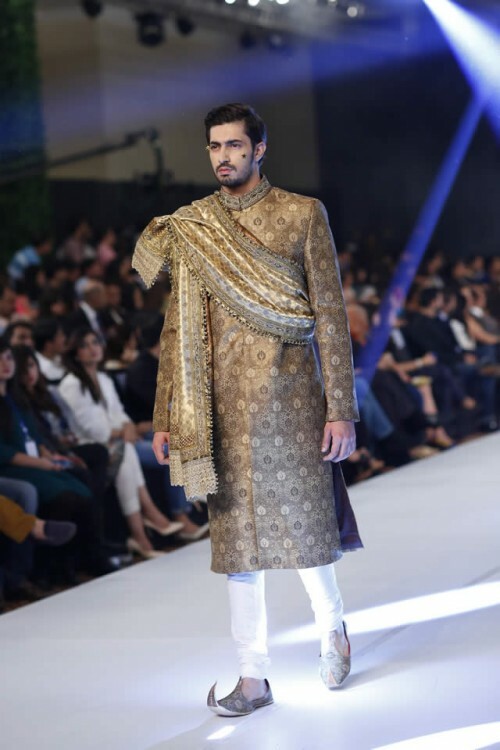 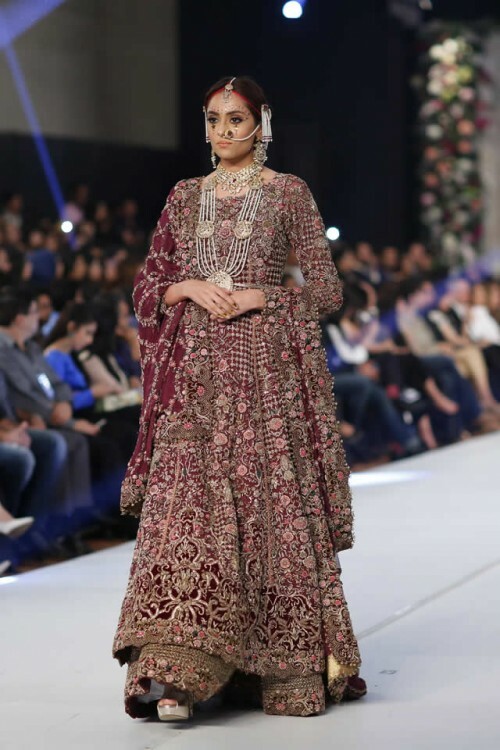 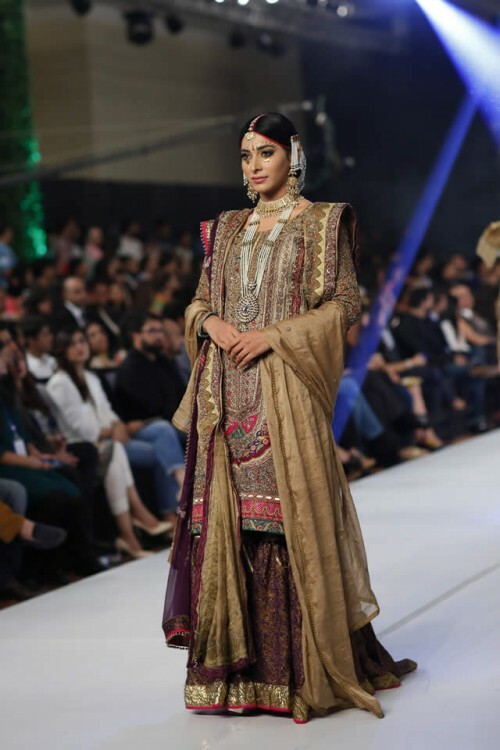 Fahad Hussayn displayed his bridal collection named as Matam – Novelty Couture. 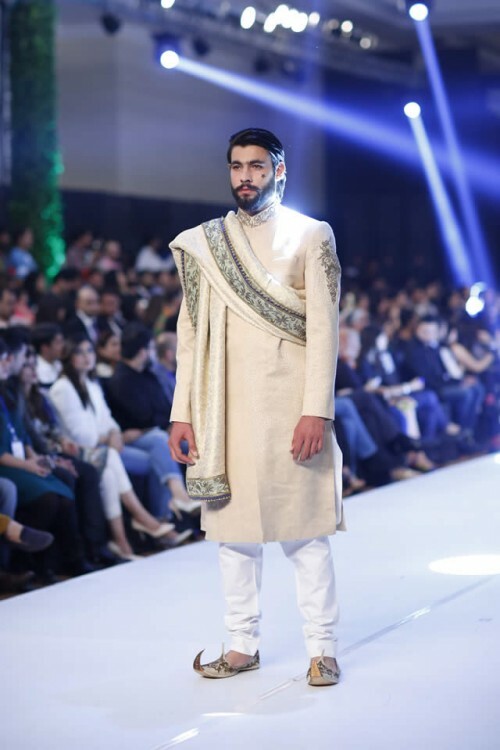 In this collection contain exclusive novelty couture wedding creations for both men and women. 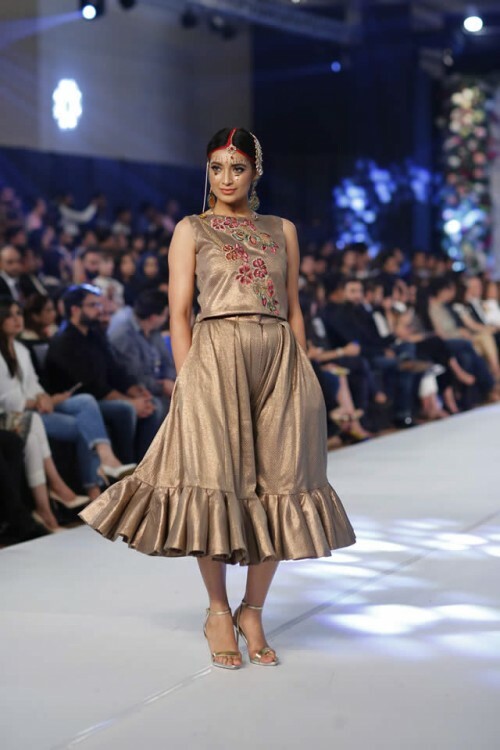 This presentation comes with an exclusive custom track built in association along with singer Ali Seth and Saad Sultan produced the music. 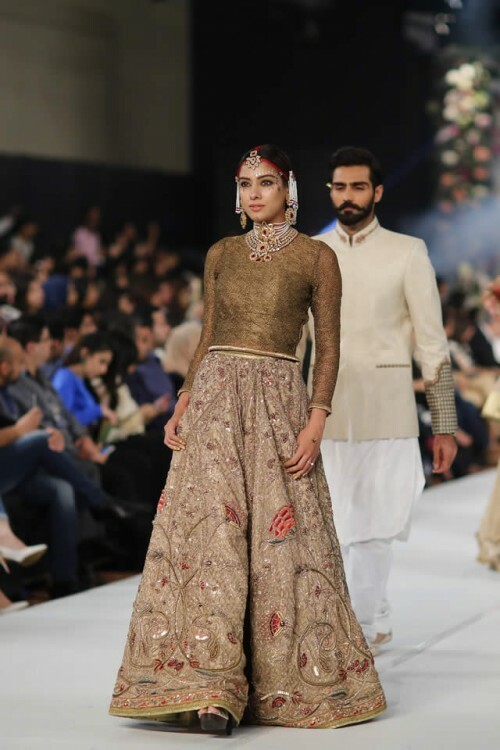 Fahad Hussayn collection comes with signature silk thread embroideries, connected along with subtle handiwork of beautiful craftsman on custom subtle nets organza, chiffon, tissue and a exclusive knitted metal thread fabric which was particularly prepped for this assortment with their signature Print Museum creations. 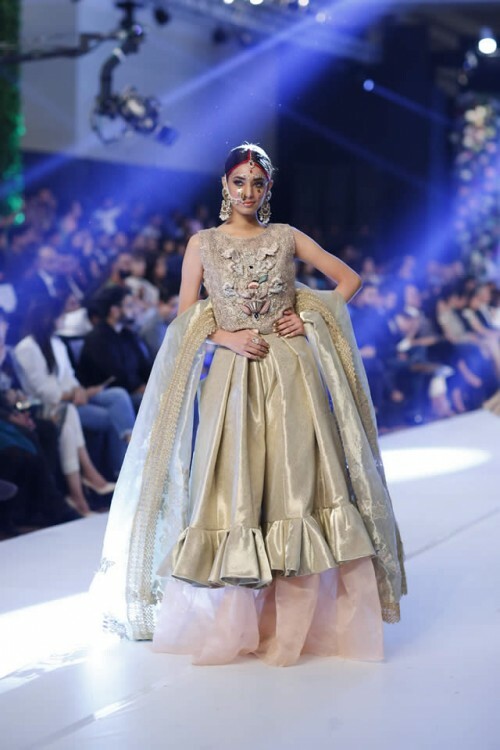 The Creative team at Nabila and NGENTS styled the PFDC L’Oreal Paris Bridal Week 2015 and its choreography by HSY, front stage managed by Maheen Kardar Ali, while the backstage management done by Product 021, Sara Shahid of Sublime by Sara as the official spokesperson for the PFDC, the Eleventh Experience organized logistics and operations, along with all media management by Lotus Client Management and Public Relations.